Finding babysitters can be overwhelming, but it IS possible! Here are my best tips for how to find babysitters, even if you’re new to an area. 1. Don’t use Care.com or other referral services. The people who use these services to market are often more expensive, and think about it: there’s a reason they’re using the site to get the word out. The best sitters I know are always busy and would never need an online service to get jobs. (If you’ve used these services, please don’t be offended! I will qualify this, and say that sister is an amazing nanny and has used Care.com to find jobs, and I also have friends who have found great sitters online.) But, for me, the biggest reason to do your own, organic search is this: you want a personal recommendation from someone you know! 2. Network! If you meet someone who seems like a good fit, don’t be shy! Whether they’re a hostess at a restaurant, or that sweet worker who always plays with your kids at the local gym, chances are they’d love to babysit for you. You just need to ask. Because, think about it, what you’d pay them is likely more than minimum wage and taxes aren’t taken out. (Plus, you’re super cool and your kids are awesome. Who wouldn’t want to spend time with you?) Obviously, you need to check references if you don’t know them or their family personally, but I have found great sitters in the most random situations, including the church nursery where I leave my kids when I go to MOPS, a different church’s VBS class where I send my kids during summer, my neighbors and the teenage daughters of moms I go to Bible study with. In 5 years of parenting, I’ve learned that I can basically tell if a sitter will work for me within 2 minutes of meeting her. 3. Don’t be cheap. When it comes to paying her, round up! If you get home at 9:45pm, round up to 10pm and pay her for those extra 15 minutes. Those extra few bucks will go a long way in letting her know that she’s a valued part of your family. Also, if you find a sitter who’s great and available at the times you need her, pay a few extra bucks to keep her, rather than going with the less-expensive sitter who really doesn’t work for you. It’s not worth the battle. For example, if a sitter wants $2 more per hour and your average outing is 4 hours, you’re only paying $8 more per time. Is it really worth starting the search over for $8? In my area, the going rate for a high school sitter is $8 an hour for 1 kid, $10 an hour for 2 and $12 an hour for 3 kids. 4. Ask current sitters for a “legacy.” This is my favorite trick! When your sitter leaves you, whether it’s for college or a new job (or my personal favorite, because she has a boyfriend and no extra time to babysit), ask her to help you find someone new! Each year when my favorite high school sitter leaves for college, I jokingly say, “Okay, you can leave me, but before you leave, you have to find me someone just like you.” She knows exactly what I mean, which is that I want a responsible young lady who is respectful and hard-working and prompt, and who comes from a family with similar values. And each year, my sitter practically clones herself and brings me a younger version of herself who is just as amazing. It’s awesome! Literally, I’ve done this for 4 years in a row! 6. Don’t forget your friends! This is especially great if you don’t have cash to spend on sitters. Use your friends! My best friend and I trade kids every Friday morning through our babysitting co-op, and it’s awesome! And free. 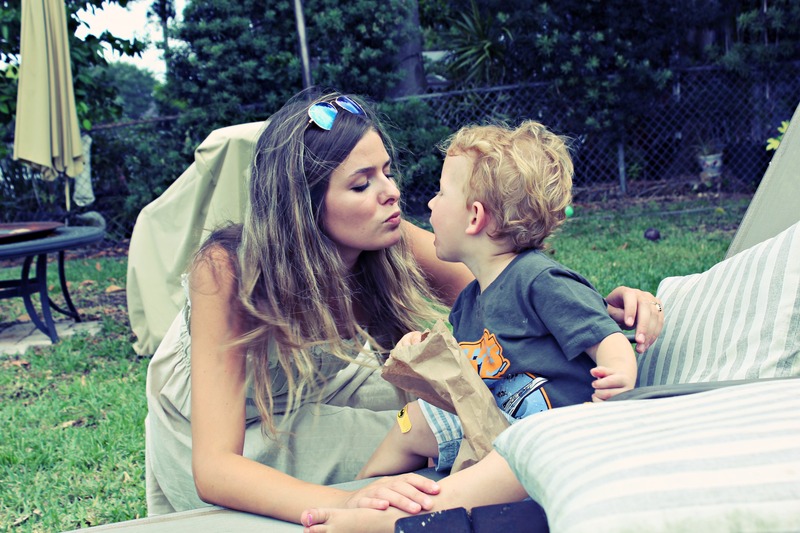 How have you found your best babysitters? Also, I’m curious: how much are sitters in your area? Share in the comments section!